Social. Local. Smart. Geek Alabama is the main blog talking about the culture, events, stories, and people in Alabama, Georgia, Tennessee, and the southeast. Geek Alabama also covers events with photos and videos, reviews products and shows, cooking and food, talks about geek, nerd, and tech stories, covers current topics, and anything else any geek and/or nerd would like reading about! 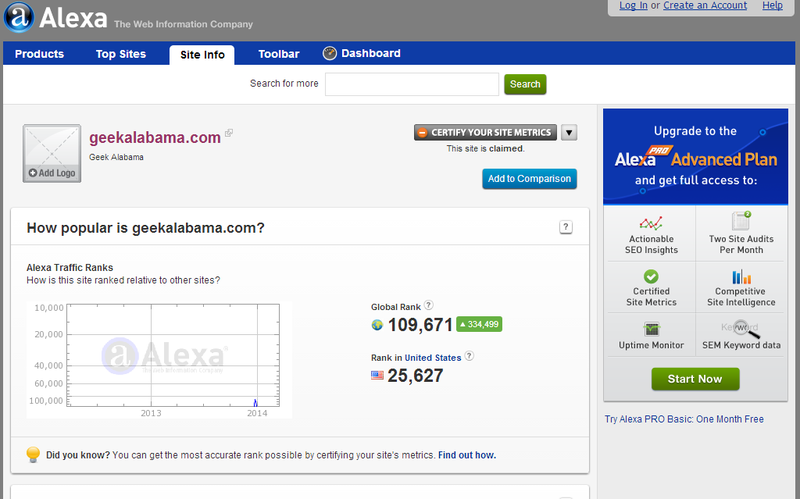 Geek Alabama averages around 35,000 to 45,000 views a month and averages 1,250 to 1,500 views a day. 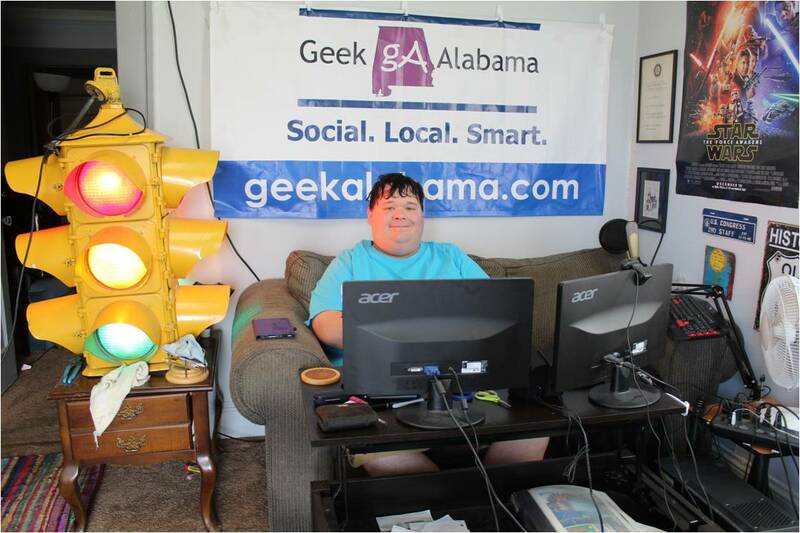 Geek Alabama also has numerous people following the Nathan Young and Geek Alabama social media pages. We utilize all forms of social media including Facebook, Twitter, LinkedIn, Tumblr, Pinterest, and YouTube. Want to learn more? 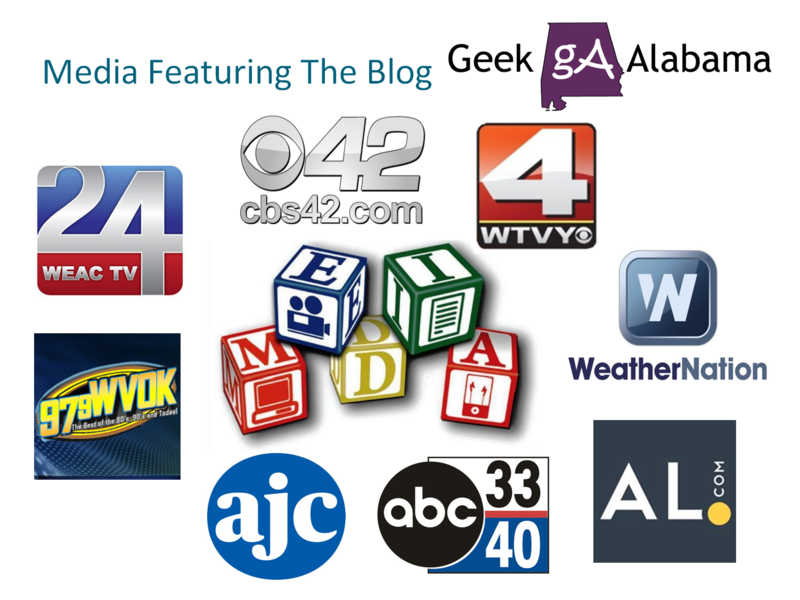 Here is the Geek Alabama Media Kit One Sheet! And here is the Geek Alabama channel trailer / intro video! Geek Alabama targets an audience which is curious to discover something new, unique, adventurous, technology, and geeky/nerdy. We offer an interactive community across Alabama, Georgia, the Southeast, and the rest of the world that proves the world is full of opportunities and we encourage people to stay positive and dream big. 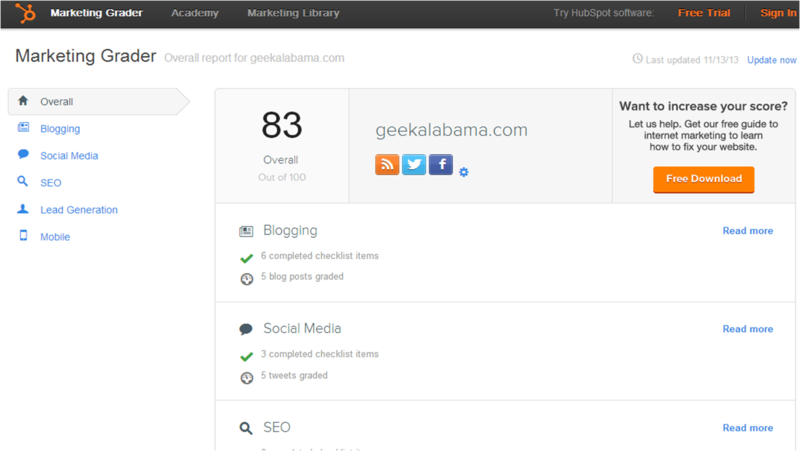 Geek Alabama currently has high Alexa Ratings and a HubSpot Marketing Grade. Don’t believe us, check out the pictures below from our peak rankings! 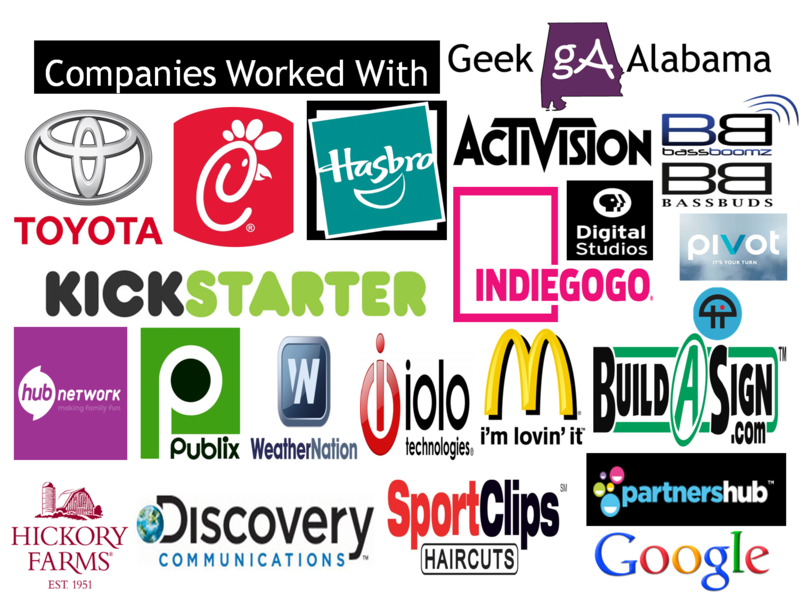 Geek Alabama also has worked with numerous companies and been featured on multiple media sources! Scroll down below to see the companies and media featured! Geek Alabama abides by word of mouth marketing standards. We believe in honesty of relationship, opinion and identity. The owner of Geek Alabama, Nathan Young, is not compensated to provide opinion on products, services, websites and various other topics. The views and opinions expressed on this blog are purely the blog owners. If we claim or appear to be experts on a certain topic or product or service area, we will only endorse products or services that we believe, based on our expertise, are worthy of such endorsement. Any product claim, statistic, quote or other representation about a product or service should be verified with the manufacturer or provider. 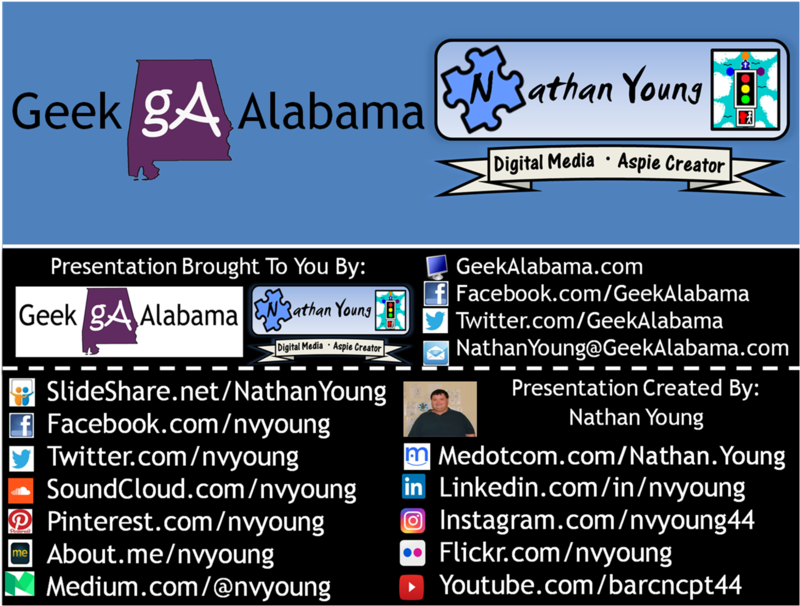 Geek Alabama is a collaborative blog written by Nathan Young. For questions about this blog, please contact me by e-mail at NathanYoung@GeekAlabama.com or by Facebook at https://www.facebook.com/nvyoung; or by Twitter @nvyoung. If you want to learn more about Nathan Young, view the visual resume and video below!